The Boy Scout's motto is "Always Be Prepared" and a substitute teacher should also have that motto. Each school or district has its own set of rules and regulations, this makes it necessary for the the substitute to have written instructions to maintain order and to assist the students as they learn. The "Substitute Handbook" is an essential part of the safe healthy learning environment which; is the goal of all schools. 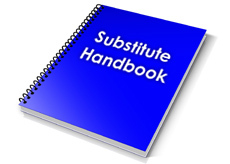 Samples of Substitute Handbooks - the following Kentucky School Districts have graciously offered their Substitute Handbooks as samples for other school districts to view. Thank you to all four districts for sharing their handbooks online. Substitute Teacher Resources (Teacher Vision) Prepare your class for your absence with these substitute teacher printables and references. There are classroom management resources to provide substitutes with emergency contact information, directions, and a daily schedule. 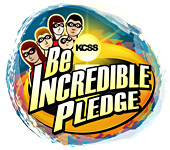 The Teacher Vision lesson planning kits provide icebreakers for substitutes and educational activities for elementary and intermediate students. Feedback forms will help you gather important information about a substitute's experience in your classroom.